Platters are always our choice at wineries and there are two – Artisan ($35) and Antipasti ($65). Seafood dishes, a burger, chicken salad, and pizza fill the rest of the cafe menu. Seats were scarce on a busy day in late December but the local staff had the place running like a well oiled machine. 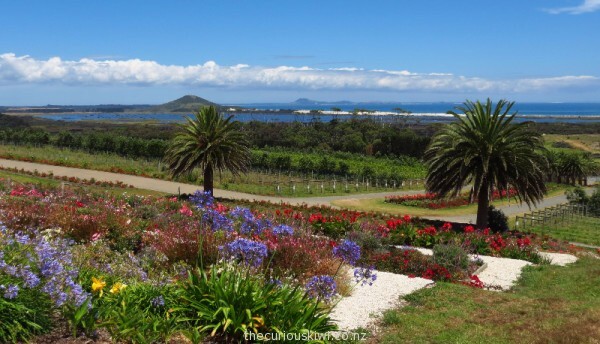 The view is stunning, and Karikari makes our ‘must visit list’ for Northland, even if you don’t drink wine it’s worth visiting for the view. 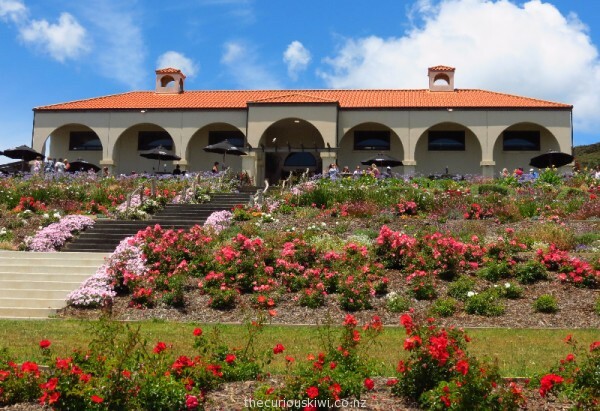 Karikari Estate is part of Peppers Carrington Resort and they are both on Matai Bay Road, Karikari Peninsula. The cafe and cellar door at Karikari Estate are closed over winter until Labour Weekend, see contact information for opening hours. 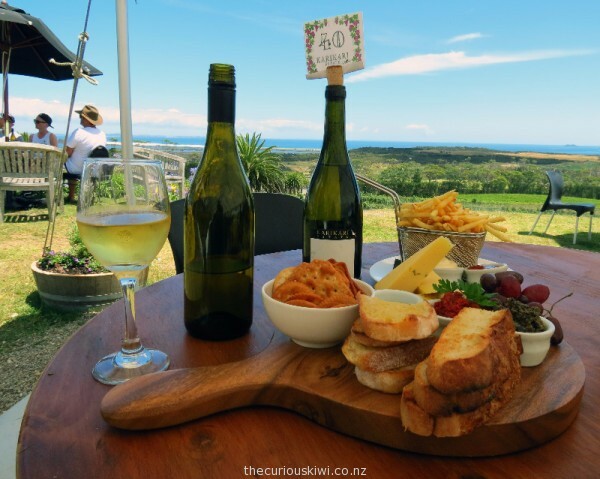 This entry was posted in Bay of Islands/Northland, Eats & Drinks and tagged Karikari Estate, NZ wine by thecuriouskiwi. Bookmark the permalink.